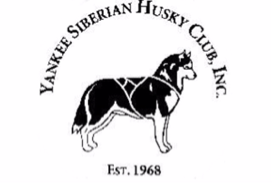 Events run by Yankee Siberian Husky Club and other New England based Husky organizations. Keep an eye on this page for upcoming event dates! ﻿﻿​This YSHC event is held mid-November, Hosted at Blue Hills Reservation's Houghton's Pond, sponsored by the Massachusetts Department of Conservation and Recreation. Meet a furry sled dog up close and personal! There will be an educational exhibit on dog sledding in New England. Demonstrations with wheeled rigs, if weather permits. Bring cameras for a great photo opportunity. ​Held annually by YSHC at the end of each November, at 110 Slab Bridge Rd in Freetown, MA. With multiple entry categories such as: 2-wheel 2-dog, 4-wheel 4-dog and more! An annual Siberian Husky dog show held in the spring, located in Taunton MA. Showcasing Rally, Obedience, and Confirmation categories. 2016: November 12-13th at at the Manchester Water Works in Auburn, New Hampshire. The Somerville Foundation for Animals proudly presents the 7th annual Somerville Dog Festival! Once again, it will feature an exciting array of dog sports demonstrations as well as a one-of-a-kind opportunity for the public to try these activities with their dogs. 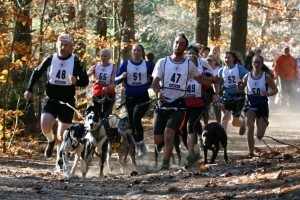 Includes an urban mushing demo run by a YSHC member. ​We are very fortunate to have our specialty in the heart of New England in the fall of the season. The Sturbridge Host Hotel and Conference Center is located on scenic Cedar Lake. The hotel and all of the staff are dog show knowledgeable and super friendly. There are walking paths and lots of grass area. Many of the rooms have a lake view and many open out onto the back lawn where we will hold our Agility Trial for Siberian Huskies only, 4 – 6 month Puppy Competition and our first ever Sled Dog Sweepstakes. In addition, we will be holding a Top 20 Competition, a Rig Race and a 5 mile Working Pack Dog Hike. There will be many more events and activities offered. We promise you will not be bored. There is indoor grooming as well as outdoor grooming under a large enclosed tent located on the back lawn. You will also have the ability to set up and work out of your vehicle. There are 2 pre host show specialties on the side lawn of the show hotel. Both will have Obedience and Rally Trials indoors. Connecticut Valley SHC will hold its show on Saturday Oct. 1, and Garden State SHC will hold its show on Sunday Oct. 2. Our entire 2016 National Committee welcomes you to our show. 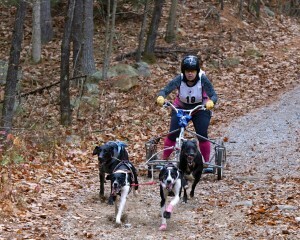 The Northern New England Sled Dog Trade Fair & Seminars was created by Faye Krause and her daughter in 1995; currently it is operated by Amy Duggan, owner of Mountain Ridge. It takes place each year in early October. If you are into; fascinated by; love anything to do with dog sledding; need something to operate a dogsled; want to buy gear; gifts; anything at all connected to sled dogs and sledding you won't want to miss this! ​Dates for 2016: Oct 1st & 2nd. This race was organized by YSHC from 1982-2007 and took place at various dates, mostly in January and February in Sandwich NH. It consisted of a 60 mile race and a 30 mile race. ​In 2008, the Sandwich Sled Dog Race was taken over by the local residents, together with the Sandwich Side Hillers Club with support from Yankee Siberian Husky Club. All trophies for the races were furnished by YSHC. The race was run over the same trails as before, including the property at Wonalancet, the historical home kennel for the Chinook Sled Dogs. This race was not run in 2016. At this point it’s future is undetermined.